I asked you, my readers, what questions I should ask her, so below are your questions (and some of mine) about Tanja's story and how she has accomplished so much. Make sure you're following me on Facebook so you have the opportunity to submit your own questions for the next interview. 1. Tell me your story. How are you managing to retire so early? Hi Michelle! Thanks so much for having me. 🙂 We feel like we’re now living a magical life as early retirees, but there’s no magic to how we got here. 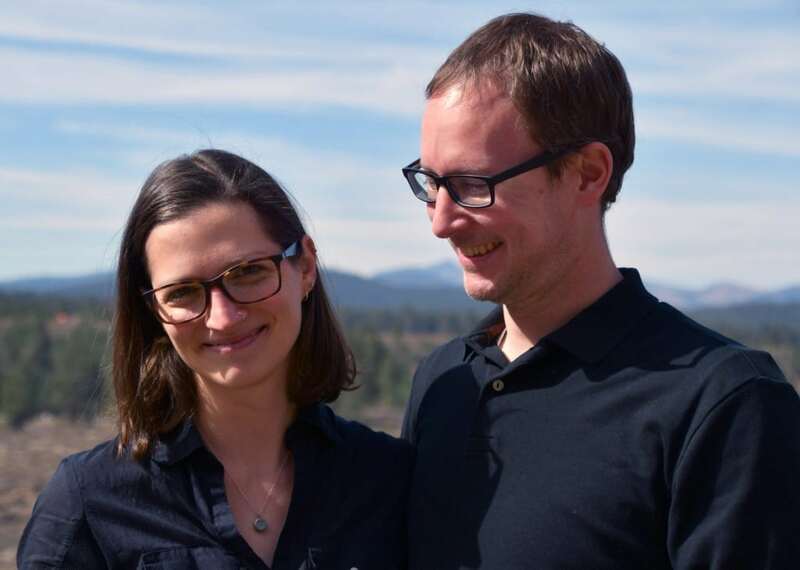 We spent a lot less than we earned for a bunch of years in a row, made easier and faster by above average salaries (both earned six figures in our last several years of work), and we tried to make some other smart decisions along the way. But we didn’t strike it rich with Bitcoin or build a unicorn startup or get an inheritance or anything else. We just stayed focused on our goal and ground away at it, bit by bit. 1. Buying less house than we could afford. The banks would have happily lent us three times as much as we paid for our house in Tahoe, but we stuck to our guns and set our own budget. We lucked out by being able to buy at almost the bottom of the market in 2011, but even though we could have bought more house then for a pretty good price, we kept our budget modest, and that allowed us to pay off our mortgage in just over five years, which then let us save more in our last year of work as well as go into early retirement with no mortgage, which means our basic cost of living is minimal. 2. Paying ourselves first and automating that. We set our paychecks up so that a big chunk went straight into savings without us ever seeing that money, and had another big portion set to go into our investments automatically with each paycheck. We kept only a small portion of our total income in our checking account, and so felt like that was all we had to spend. But more importantly, saving wasn’t a choice we had to make, which would have relied on willpower we don’t always possess. It just happened without us doing anything. For those who aren’t natural savers (like us! ), I can’t recommend enough taking the decision out of it and automating your savings. 3. Not inflating our lifestyle. For the last decade of our careers, we banked every bonus and every raise. So at the start of each year, we’d increase our automatic investments by at least as much as our paychecks increased, meaning we never felt like we got a raise, and we didn’t start spending more. When you add the compounding effect of all those raises we banked, it adds up to quite a big number! But for us, because we did it gradually that way and just kept the amount we had to spend steady, it never felt like a sacrifice to save at a really high rate. 2. When did you begin saving for early retirement? 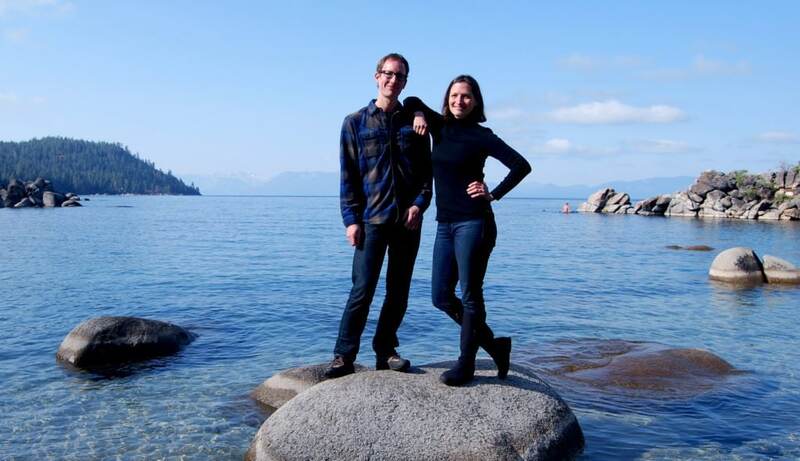 While we’d been saving for years for a string of financial goals – paying off my consumer debt, buying our first place in LA, buying our forever home in Tahoe and saving a bit for traditional retirement – we started saving for early retirement in a focused way about six years ago. And then we got super focused four years ago. 3. Was early retirement always something you were striving for? What made you want to retire early? Mark and I always had a sense that we didn’t want to work “forever,” but we didn’t know what that meant. We had very demanding, high-stress careers where we could never truly be offline. We loved much about the work and loved our clients and colleagues, but it definitely took a big toll on our physical and mental health. And that’s how we knew that we weren’t willing to do that kind of work forever. We talked about transitioning to different, lower-paid careers, but once we realized that we could work hard for just a few more years and then never need to work again, it was an easy choice to keep going. 4. Would you say that you live comfortably? I ask this because many people assume that early retirees eat a lot of rice and beans! I mean, I do love rice and beans. 😉 But we only eat rice and beans a few times a month. I would definitely say we live super comfortably! We own a single family home in a crazy beautiful part of the world, we spend money on fresh, healthy, mostly organic food, we ski multiple times a week and we take several international trips per year. There’s a lot we don’t spend on, of course, and we do have one freakishly frugal habit that shocks a lot of people – keeping our house at a chilly 55 degrees F in the winter – but we think our life is pretty darn luxurious. But we keep it reasonable by ruthlessly cutting out the mindless spending that doesn’t add real value to our lives and focusing our spending only on the things we love to do. 5. What career did you have before you retired? Did that career help you to retire earlier? We both worked as political and social cause consultants for a long time – 16 years for me and nearly 20 for Mark. We loved doing meaningful work with smart, talented people, but the pace of it was really hard to sustain. We had to travel a ton and be reachable at all times, and that stress was something we carried around with us at all times. But, the upside of high-pressure jobs like that is that they often pay well. 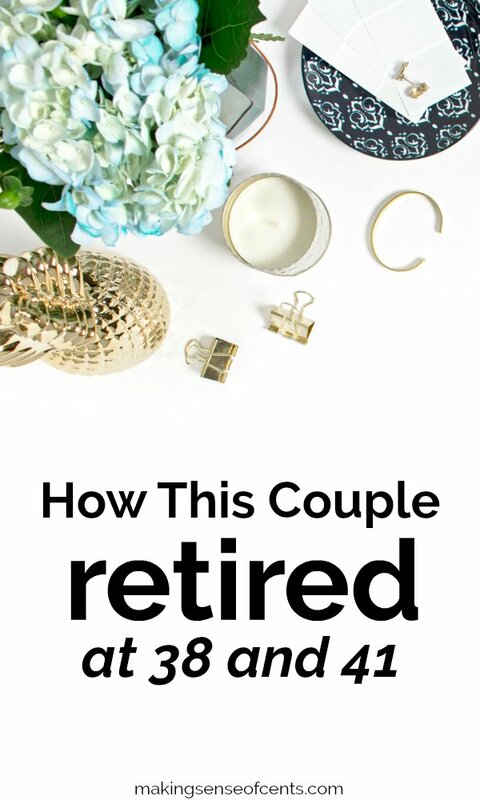 So yes, absolutely – having those careers 100% enabled us to retire early! 6. What advice do you have for the average person that doesn't make six figures a year who wants to retire early? What do you have to say to those who may think that they can never earn as much as you can – can they still retire early too? While earning more certainly helps speed things along, there’s nothing about the core principle of financial independence – spend less than you earn and save the difference – that requires an especially high income or a job in tech or any other particular factor. (We both went to state schools for college and majored in English and communications, if you’re curious.) If you can afford to save even a little bit of money each month, you can do this, you just might be on a slightly longer timeline. If you make saving for early retirement a priority, you’ll be amazed that it does not take 40 years to save, as many financial experts would have you believe. My best advice is to be diligent about tracking your spending. Know where every dollar is going, and then then ask yourself which of those dollars brought you real, lasting happiness, not just a momentarily thrill, and which ones didn’t. Then, as much as you can, cut out the spending that doesn’t make you happy. You don’t even have to do it all at one time, but once you start seeing your spending that way – mindless spending that doesn’t add value and mindful spending that makes you happier – it becomes a whole lot easier to save money. And then don’t just think about the saving side of the equation. Think about the earning side, too. Side hustles are all the rage, and I side hustled for the first 12 years of my career, working a few odd jobs and then teaching yoga and spinning for 10 years. Those jobs definitely helped me earn and save more in my early career years, but eventually having extra commitments held me back in my “real career.” And at that point, I ditched my side hustle and committed myself fully to my main job, working as long and traveling as much as that required. I know that having that real commitment to work paid off in the form of promotions and bonuses, and that wouldn’t have been possible if I’d kept my side hustle. 7. Will you still earn an income in retirement? Our retirement is funded primarily by selling shares of stock and bond index funds that we bought throughout our savings phase, as well as by collecting rent on the one rental property we have. 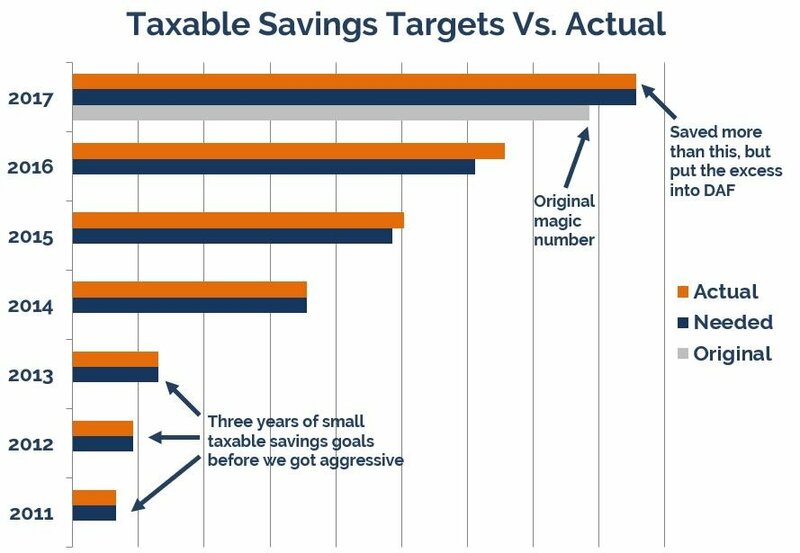 We created our “magic number” that we needed to save by figuring out what we’d need to have if we never earned another penny, and that’s what we saved. But now that we’re retired, we also realize that of course we’ll still earn money in some form. Retiring early takes a bit of a hustle mindset, and you don’t just stop being a person who hustles when you leave your career. The good thing is that we can now put that hustle to use toward community service instead of paid work, and if we do take on paid work, we can be super picky and do only work that sounds super fun, that we’d happily do for free. And that extra money we earn can go toward more charitable giving, toward an extra trip overseas, or maybe toward a home project like a kitchen remodel. In the spirit of full transparency, Mark and I are both working a little bit this year, though in total it will only be about 10-20 percent of our time. We didn’t plan to work, but Mark got an offer he couldn’t refuse to work on a passion project, and I got an offer to fulfill a lifetime dream, so we both had an easy time saying yes. 8. How did you decide on how much you needed to retire on? The starting point for calculating any early retirement number (or traditional retirement number, for that matter) has to be knowing what you spend in a year. Most online retirement calculators base your target number off what you earn, and that’s bananas if you don’t spend everything you make. 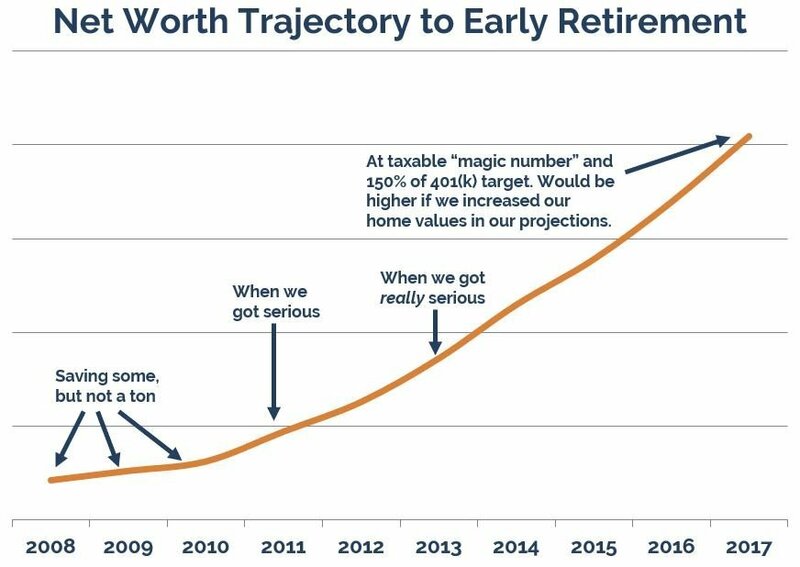 When we started our planning, the rule of 25X (25 times your annual spending, the inverse of the 4% safe withdrawal rule) wasn’t as widely talked about, and it wouldn’t have worked for us anyway because we wanted to build a two-phase early retirement plan that would let us leave our traditional retirement savings alone (many early retirees convert 401(k) and IRA funds to be able to access them early without penalty, but we don’t want to do this), so that we’d have a big cushion for our later years, especially given all the uncertainty right now around health care, and the high costs even for those on Medicare. We probably overcomplicated our calculations a bit because we’re both spreadsheet nerds, but the short version is that we calculated that our 401(k)s already had enough in them to support our “phase 2” (basically our traditional retirement, from age 59 ½ onward, after we can access our 401(k) money without having to jump through any hoops), and so we focused on saving an amount in unrestricted, taxable mutual funds that our spreadsheets told us would carry us through the first 18 years (our “phase 1”). We based those projections on extremely conservative market gains – only about percent real returns after inflation – so that we’d be okay even if the markets are flat for many years. 9. What sacrifices or hard decisions did you have to make? 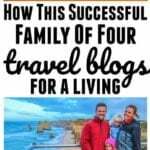 I think the way we did this – focusing mostly on keeping our lifestyle contained as our earnings increased and automating our savings – made it not feel like a sacrifice. 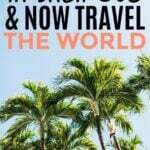 We for sure did give some things up like frequent meals out and traveling with a bit less of a budget orientation, but for those things, it was easy to give them up because we knew exactly why we weren’t spending money on them anymore. Having our goals clear in our minds and both being excited about our vision for the future was so motivating that it headed off any potential feeling of sacrifice. Two of the hardest decisions we made along the way were to alter our plans to be able to help out family members. We hadn’t planned to buy a rental property, but it became clear that a relative with special needs would be helped a lot if we’d buy a property that would meet those needs and rent it to them, and so we adapted our plans to allow for that. And then another relative was about to go to debt collection for some medical debts that weren’t their fault, and we decided to make a personal loan to let that person move forward financially. Both decisions have worked out super well, and we believe strongly that there’s no point in having money saved if you can’t use some of it to help people you care about, but it was definitely tough to make each of those decisions. 10. What will you do about health insurance in early retirement? We fully expect the landscape around health care in the U.S. to keep shifting, but for now we have health insurance that we purchased through the Affordable Care Act exchange. It’s a bit pricey but it’s normal insurance, which is a huge comfort to have! 11. What are your long-term plans now that you will have significantly more time not working? We’re trying to keep things as open-ended as possible! I’m definitely going to keep writing the blog, and we’re both actively volunteering in our community. We went to Taiwan earlier this year and are planning a few more trips through the end of 2018, and then, who knows? We’re exploring getting a very small motorhome (not big and fancy like yours, Michelle!) that we can use for road trips around the west, but that’s not for sure yet. A few years ago, we decided that our purpose is service, adventure and creativity, so while we don’t yet know what path our lives will take, we know we’ll be doing some of each of those three. 12. Are you doing any lifestyle changes to reduce your expenses in early retirement? We are! When we were working, we were so crunched for time that we ate a lot of frozen and convenience foods, even though we would have preferred to make everything from scratch. We also couldn’t really comparison shop because we didn’t have time for that. But now we’re making more food from scratch and visiting a wider array of stores and learning what items are priced best at each place. We’re also DIYing everything we can now that we have time to do that. But beyond that stuff, we were already living at a level we were comfortable with and that let us save a lot, so it doesn’t feel like we need to trim much more. But ask me again in a year, and maybe I’ll have found some new ways to save! 13. I’m curious to know what your methods for staying focused on accomplishing such a major goal? Even in the very best case scenario, saving for early retirement takes years, so it’s important to know up front that you will feel some impatience along the way. Everyone who’s done it has felt it at one time or another, or maybe many times! We found it helped a ton to track our progress and look at it often, so that we could see how far we’d come. And having everything automated also helped because we didn’t even give ourselves the opportunity to have the thought, “We’d rather spend this money instead this month to treat ourselves.” And finally, we didn’t deprive ourselves, and I think that’s important. Living solely for tomorrow is not the way to be happy with your life – you have to allow yourself some joy today. We tried to keep things modest, of course, but we still let ourselves do fun things and spend money on things that made us happy instead of saving all our money. Living for both today and tomorrow helps with the impatience a ton! 14. If you were starting back at ground zero, what would you do differently from the beginning? If I could go allllll the way back, I’d never set foot in Target! Haha. When I was just starting out in my career, Target was my kryptonite, and I wouldn’t set foot in there without buying a whole bunch of home decoration stuff that I didn’t need. One of my best practical saving tips is to know your spending triggers and avoid them, so to this day, I do not set foot in Target, and I get what I would have bought there on Amazon or at less tempting stores. But if we’re just talking about the beginning of the early retirement journey, we would for sure have invested in more rental properties. Real estate offers a quicker path to financial independence than does saving, and it gives you some diversification you don’t get by only investing in the markets. I thought I’d hate being a landlord and so wasn’t interested in real estate, but now that we’ve done it for several years, we wish we had put more focus on rental properties. 15. Lastly, what is your very best tip (or two) that you have for someone who wants to reach the same success as you? Don’t just think in terms of numbers. Get clear about what you really want to be doing with your life – what that looks like, what will make you feel like you have a purpose, what you want to be able to look back on at the end of your life and feel proud of – and then decide what you’re willing to give up to make that happen. Doing that exercise will help you figure out much more quickly how much your new life will cost and how much you can afford to save now, but best of all you’ll have the motivation to do that saving because you will have already invested the time in forming that solid vision for yourself instead of saving just to save, or just because you don’t like your job. If you retire early just because you don’t like your job and not because there’s something else you’re super stoked to do, you’ll probably be unhappy in early retirement, too. And on the numbers front, don’t just focus on saving money. Focus on earning more. There’s a limit to how much spending you can eliminate but no limit to how much you can earn, so don’t neglect that half of the equation. 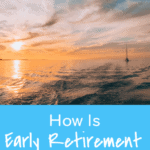 Are you interested in early retirement? Are you saving for retirement? Great interview! Mark and Tanja are living my dream retirement (mountain home, skiing, traveling, etc.). I’m so excited for Tanja’s book to come out! Thanks so much, Mrs. FF! 😀 Alllllmost done with the book! I am enjoying this series as well. I have read their blog but this was helpful too. Thanks! This was a fun read, and chock full of great tips and tactics to achieve early retirement. 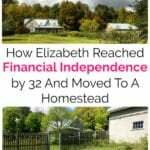 I’ve been interested in financial independence for a long time and worked towards it for years – Tanja is quite right that it’s a long term effort, no get rich quick schemes here. The biggest factors for me have been frugality (which starts by being very clear where your money is going), automated savings (‘paying yourself first’), and focusing on ways to earn more. To the final point in the interview, when you focus on both spending less and earning more, the results compound in a pretty astounding way. It’s definitely much easier for some people than for others (for example if you have a high income and no or low debt), but I certainly believe most people can improve their situation with hard work and dedication! Thinking about life and not just the numbers is such a good tip. As a numbers guy, it’s very easy for me to get lost in a spreadsheet. Planning the important stuff like where you want to live and what you want to do with your time is so much more important. The numbers should follow the life you want, not the other way around. Great interview with Tanja! And yes to the wish that I’d never set foot in Target! That place makes money disappear. I have a $20 gift car and I haven’t spent it since I don’t want to go in there. Smart not to set foot in there! Maybe you could pass your gift card along to a charity that would give it to someone who really needs it? I have to ask about the temperature! Living in New Zealand I did a quick conversion to Celsius and almost died! Is heating super expensive there? That aside, I love the three words – adventure, service and creativity – you have as a couple – I shared them with my husband and I think we should come up with our own words too to help guide us in our journey together. Heat IS super expensive in our rural area, though most of California doesn’t even need it. 😉 The price we pay to live up high in the mountains! Haha. And definitely do try to define your purpose and mission — it’s so helpful to have those words in front of you whenever you doubt your path! I’m curious what the numbers are for the people who actually want to have full on early retirement vs those that just want to be financially independent and continue working a corporate life. I personally love my corporate job, but I still want financial independence. The numbers needed are entirely dependent on your own situation, most especially what your lifestyle costs to live. If you can live cheaply, you need a lot less than if you live larger, and if you want to keep working, then you need even less still. Maybe just save enough to have a solid retirement and then make sure you can work enough to cover your annual expenses. Definitely yes to buying less house than you can afford. I’m not interested in a McMansion, that’s just not for me. But we have friends and family who don’t understand why we live in a smaller house. We are two years away from being mortgage free and that feels pretty amazing! That’s good to retire early. A good post instead and an awesome couple who have managed their lives so well. You’re feeling retired just because you have enough bank balance to live further. Or do you prefer to feel retired when you have created enough resources to help others. Honestly I like what I’m working because ultimately I’m working for me by helping others. So It doesn’t matter that in what age I want to get retired. Because, I’m retired already in this way. I love that philosophy! Helping others is a big part of our mission, too, which we’re doing by funding a donor advised fund before we quit our jobs so we can always give charitably even when we have no income coming in, and by volunteering a big portion of our time. I’ll preface this with you have to do what works for you. But I like how you settled on a purpose rather than a set list projects that you’ll do. I’ve been struggling with all sorts of ideas of what I want my life to look like in the next 10 – 20 years. I think I’ll step back and think of intentions/purpose and see if that helps. So inspiring! Thanks for sharing Michelle! Love this interview and this series! So inspiring! This was so fascinating! I retired from ‘normal’ work three months ago (aged 35) and so many things Tanja said ring so true- even though she’s in the USA and I’m in the UK. Funny how the fundamentals don’t change no matter where you are. Never heard of Tanja or her blog but I will definitely be heading over her way to check it out. Thanks so much for the great post. Great interview! I’m so happy to find someone else who keeps their heat below 60 degrees in the winter. My friends and family think I’m nuts wearing a jacket inside to keep warm.But I live in New England and use the 4 months of no-heat expense to bank that “extra cash” that I use for heat in the winter, while my friends struggle to pay off their winter heating bills before the next season begins. I love this interview! I recently started my journey to FI and this is full of useful tips to stay on track. I love her emphasis on remembering to enjoy today, it shouldn’t just be all about saving. The point of financial independence is to enjoy the life we have. That requires purpose and a very strong drive to live with even more purpose. I agree about the real estate investing. Acquiring more rentals is how I plan to accelerate my path to FI and early retirement. I also live in California and visit Tahoe often. It is so motivating to hear their story and how they now live there full time and really enjoy the lifestyle. Love it! Your story is such an inspiring one. I’m glad to learn something new today. Now I will stop feeling like spending more when I get a raise. One recurring theme from most of these early FIs is no kids and above average incomes. Those are the 2 most important ingredients I see common across many. There are a few that have kids like the Frugalwoods but they did at least have the above average incomes during their working years. If you have kids and make the median US income, good luck getting out before 40! Amazing Tanja! And congrats again on your retirement! Really interesting interview and love the focus Tanja and Mark put on giving back to the community. I am also saving up towards my first real estate property and hopefully will have the deposit saved by the time I’m 23.